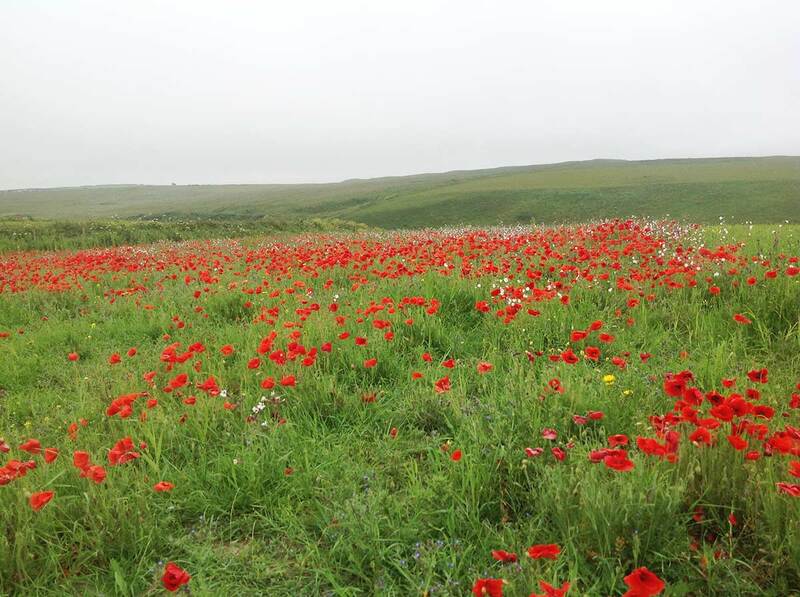 Many of our guests visit the poppy fields at Polly Joke and send in their pictures. We thought we’d do the same and see what all the fuss is about. We weren’t disappointed. Along with Lucy the Westie we took a scenic drive from Crantock on the north Cornish coast through Perranporth and St Agnes, and arriving at Chapel Porth. En route we stopped for a moment of serenity at Polly Joke. 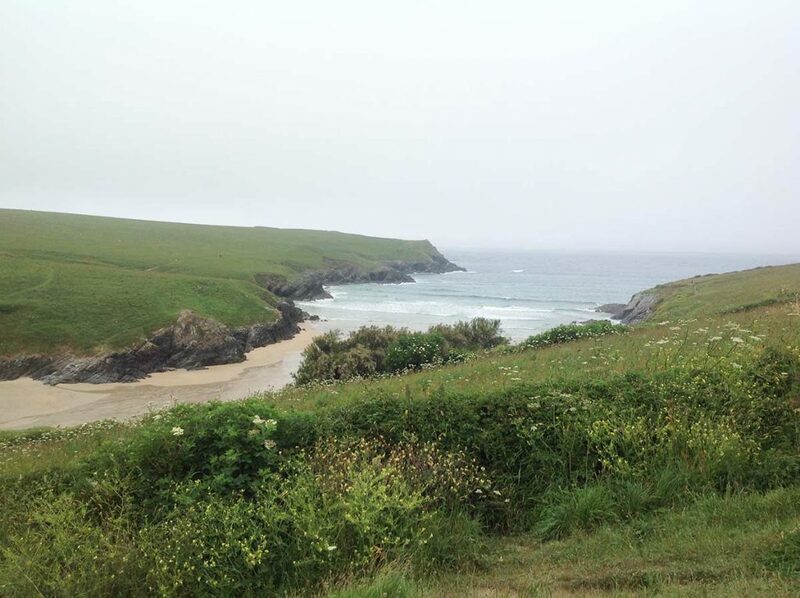 You can imagine us, nattering away, as we do, commenting on the gloriousness that we kept coming across on this drive down Cornwall’s north coastline. Our conversation was intermittently interjected by ‘ooo’ and ‘ahh’ as we spotted a beautiful site, or occasionally by Lucy if she saw something she’d quite like to chase along the hedgerow. We’ve heard so many positive things about this scenic trip. The slightly cloudy weather didn’t interfere although the road closures around St Agnes sent us on a bit of a wild route at times! 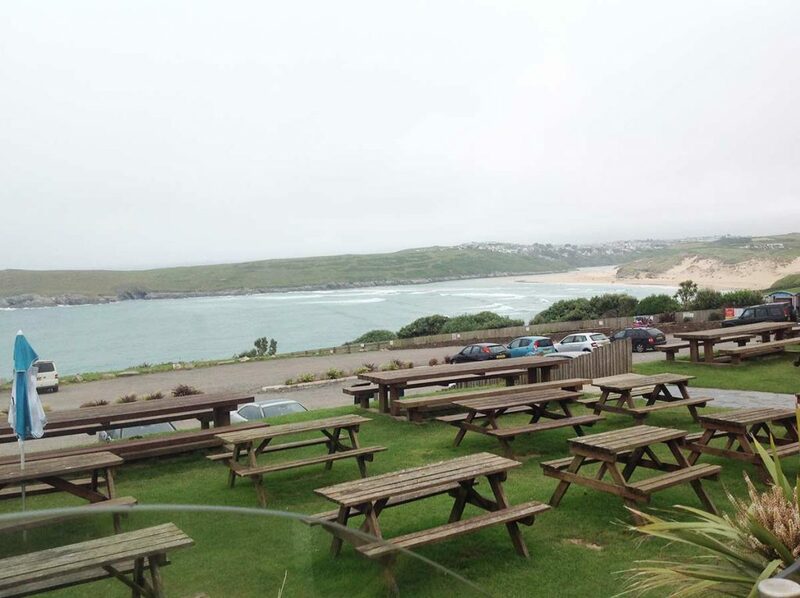 We began with lunch at The Bowgie Inn in West Pentire, Crantock. The inn has the most amazing views over Crantock beach. It’s a pet friendly pub too with plenty of outdoor seating. We momentarily thought that the lunchtime menu pricing was a little high, but when we saw the enormous portion sizes all became clear! After lunch we headed to the poppy fields at Polly Joke before stopping at Chapel Porth to take in the view and top up on refreshments. The poppy fields were in full bloom in June when we visited. They created a sea of poppy red amongst the long stems and grass that surrounded them. The poignancy of the poppy that we associate with remembering our war heroes was lingering in the air. It’s hard not to think of those who fought on our behalf and gave the ultimate sacrifice in this kind of setting. Quite a powerful experience, it was. Chapel Porth is part of the somewhat wild far reaches and beach of St Agnes Heritage Coast. On the South West Coastal path is reminds us of the area’s rich mining history and also the most dramatic zones of Cornish coastline. We also discovered that the cafe there sells the most amazing ice cream! Their renowned Hedgehog Ice Cream is a must-try even on the coldest, dampest winter’s day. Cornish cream vanilla ice cream that’s dipped in Cornish clotted cream and rolled in their home-roasted hazelnuts, and served in a waffle cone. We’d give it a Michelin star! Everywhere we went, Lucy came with us and was welcomed or free to explore. Because we had the dog in tow we walked more than you’d need to. But it gave us the opportunity to see more of the poppy fields and the long low tide beach at Chapel Porth, than if we’d just been stopping to check out the view. Being June, the roads weren’t too busy, despite the roadworks in St Agnes. Do bring your National Trust cards, if you have them, as it’ll allow you free parking at Chapel Porth. Oh and don’t forget the ice cream! About the authors: Charmian is our new holiday homes specialist and Ali is our holiday home manager.